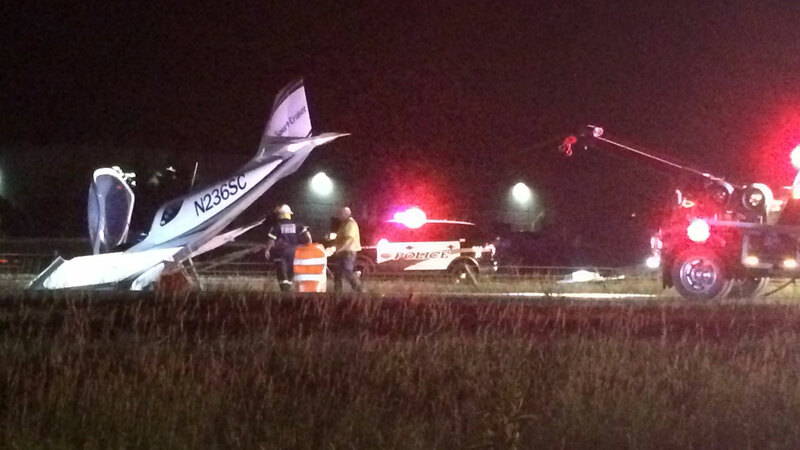 MINNEAPOLIS, MN -- Authorities say they're investigating why a small plane landed on a busy interstate north of Minnesota's Twin Cities. The state patrol said in a statement Saturday that the plane was running low on fuel and Nolden couldn't locate the Cambridge Municipal Airport in the dark, forcing him to attempt an emergency landing. A Federal Aviation Administration spokesman didn't immediately respond to voicemail and email messages from The Associated Press on Saturday. FAA records show the plane was registered in 2007 to Nolden, who lives in Isanti, Minnesota. Nolden declined to comment when The AP reached him by phone Saturday other than to say he wasn't injured at all.